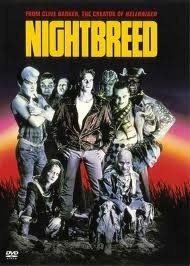 “Nightbreed” sure has come a long way. 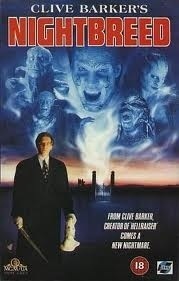 In the wake of “Hellraiser”s success Clive Barker was given the chance to start another series, based on his books. 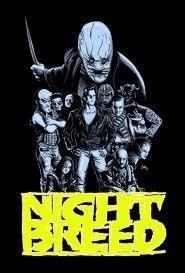 Just before it was to be released the studio got cold feet and cut over an hour out of the film, reshot some scenes and cut / marketed it to be more of a slasher film. I’d always avoided it because of this, but with news of an impending (and long awaited) directors cut, I thought I’d finally give this “studio cut” a shot. 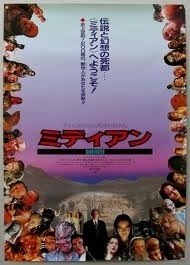 The film is about an underground lair of monsters with their own lives after death hidden far from the outside world. 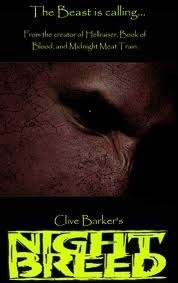 A murderous doctor becomes obsessed with finding the place and destroying it at all costs. 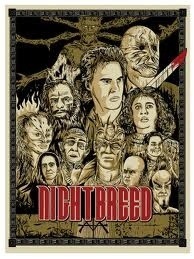 Even in its cut form “Nightbreed” is a very intriguing film. The creature / effects work is largely excellent (apart from a few questionable effects) and you’re really given the chance to feel for these “monsters”. Director David Cronenberg is excellent as the murderous doctor (occasionally wearing a fairly disturbing mask) who wants nothing more than to destroy their paradise. 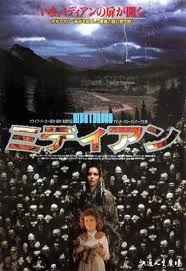 Craig Sheffer does a good job as our hero Boone, though, the knowledge that Rutger Hauer and Christopher Lambert were both considered for the role makes you wonder how that might have turned out. 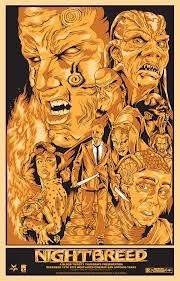 Not surprisingly, Doug Bradley (Pinhead) has a quality role, though his voice is overdubbed for some reason. 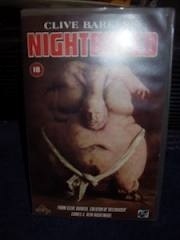 With the knowledge that it had been cut mercilessly I’d hoped it wouldn’t be as unwatchable as some have said. Oddly, many of the reshot scenes (including the excellent, albeit nonsensical ending) actually seem to benefit the film, including additional screen time for Cronenberg and his “The Scarecrow”-esque mask. 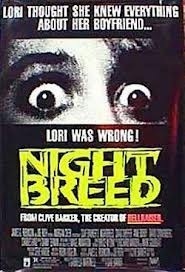 As you may already be aware, there has been a recent restoration of two longer workprint cuts of the film. This 144 minute version includes an additional 55 minutes that the studio had previously cut out without Barkers permission. 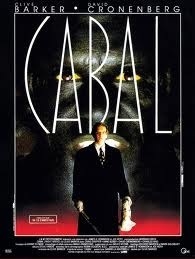 “The Cabal Cut” has been making the rounds for private screenings and the studio (Morgan Creek) has given the go ahead to raise funding for a restored blu ray / DVD release. 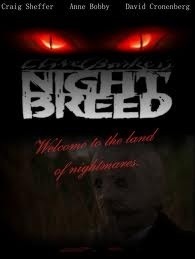 Obviously this is big news for “Nightbreed” and Barker fans, and I look forward to seeing this vision of the film soon. 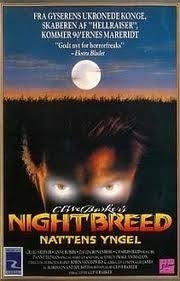 As a big fan of the “Hellraiser” series (1-4 anyway) I had semi-high hopes for “Nightbreed”. 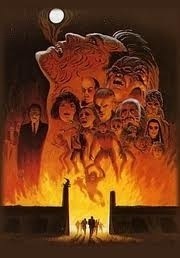 I’d seen bits and pieces and read about the cuts, but I’m glad to say that this is still a very enjoyable film that I look forward to re-watching very soon. 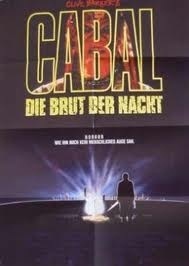 Support “The Cabal Cut”, embrace the vision ! 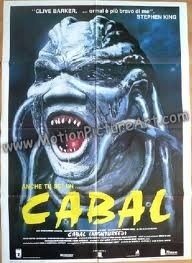 This entry was posted in Reviews and tagged 2012, barker, cabal, classic, Cronenberg, cult, gore, Halloween, hell, Hellraiser, Horror, midian, monster, October, review, Scary, thriller by lazron. Bookmark the permalink.